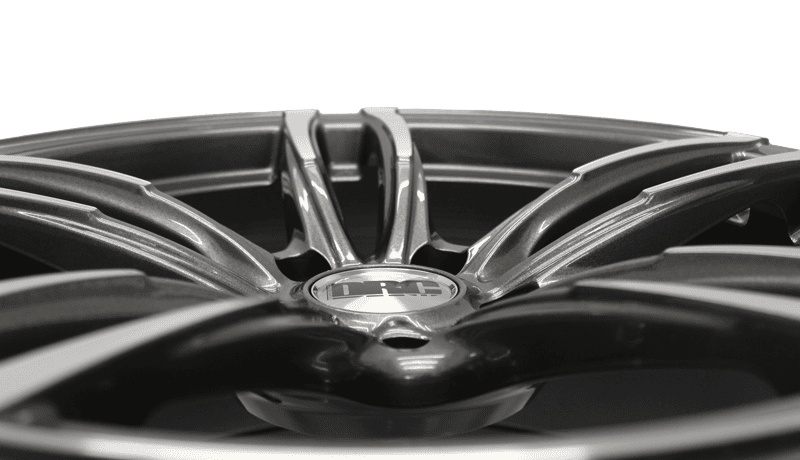 The DRC range has been synonymous with OEM-inspired designs for the alloy wheel aftermarket since it’s inception, regularly delivering original-equipment styled designs for the likes of BMW, Mercedes and Audi. The latest introduction to the range, the DMF has all the architypal styling cues for the most popular of the Germanic brands, being seen as an ideal OEM style upgrade for BMW. Thanks to its split 5-spoke design, and elegant polished detailing to the spoke tips and lip, this wheel sits right at home on a range of Bavarian staples, including 3-Series, 4-Series and 5-Series amongst others. Available in staggered 19″ configurations (8.5x19″ front and 9.5x19″ rear), the additional concave to the rear wheels delivers a dynamism and sporty aggression seen on many premium upgrade alloy wheels. As a design in the DRC family, these wheels also represent unrivalled value for money. Ask your nearest alloy wheel retailer to give you more information and pricing today, or see if this wheel fits your vehicle by using our handy search at the top of any page on our website. The DRC DMF in Gunmetal/Polished gives customers a chance to add a touch of premium OEM-styled enhancement to their BMW. Inspired by OEM designs, but conceived by our factory’s design team, this wheel is unique in many ways, but hints positively at designs offered by the German powerhouses. Our wheel specialists have manufactured the DMF in the most popular BMW fitments, with a staggered 8.5×19″ / 9.5×19″ configuration, in PCD 5×120 with offsets of et33 (front) and et42 (rear). The DRC DMF is manufactured in factories with OEM production experience, and come with a 1 year warranty so customers can be assured of quality and performance. Available now from your nearest alloy wheel specialist, with an SRP of just £168 (inc Vat), they also represent fantastic value for money. Wheelwright continue to deliver the UK’s most comprehensive alloy wheel programme, and the DRC DMF further enhances the company’s image as a go-to distributor of all things wheel related. For more information on our alloy wheels, or to become an accredited DRC stockist, please contact us here.